Fifth Harmony briefly returned to a five-member lineup when Gucci Mane joined the girl group on The Tonight Show for a performance of their collab "Down." 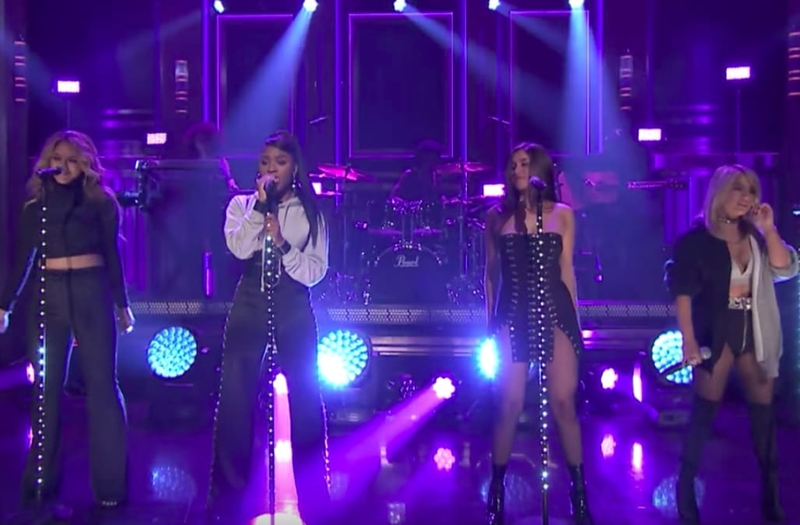 It was a big night for 5H, which was making its first-ever appearance on Jimmy Fallon's late night show. The host took the opportunity to announce their self-titled, third album will arrive on Aug. 25. "Down" is the first single lifted from Fifth Harmony, the followup to 7/27 which peaked at No. 4 on the Billboard 200 in June 2016. The forthcoming album will be the foursome's first since Camila Cabello's departure. Watch Fifth Harmony (comprising Dinah Jane, Normani Kordei, Lauren Jauregui, Ally Brooke) perform with Gucci Mane on The Tonight Show.